This is a great time for a video game enthusiast: everywhere you turn, there are new games being released, each with completely different genres and visual styles, some set in popular licensed universes. Unfortunately, the vast majority of these games are mobile-only. However, there are some games that are just better on a big screen, where you can fully see the resolution that you want to see and get all of the gaming goodness in a 30″ screen. That is why I’m here today to help you get a bit more resolution and a bit more processing power in your hands. 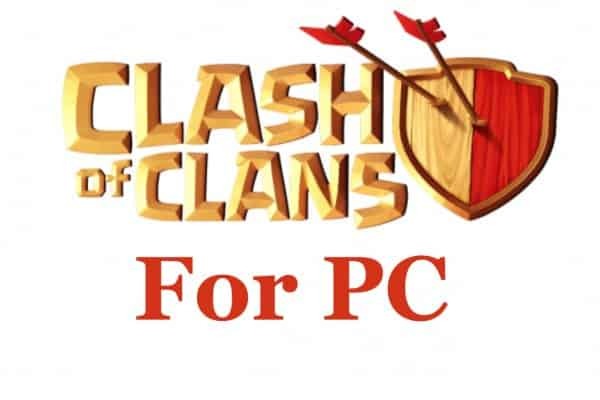 We’ve all played the game, but now we’d like to switch from our iPhone or Android to Clash of Clans for PC where you can download and play the game on your Windows machine. This gives you the ability to make use of your computer’s superior graphics card, better memory, and definitely the bigger screen size. After all, if you’re like me, your computer was an investment; you spent a lot of money in building it up with good stats, and you’ve spent a lot of time in upgrades and learning how to utilize it to the best of its potential. And then, after all of this, we spend most of ur computing time on our phones! Unfortunately, Supercell hasn’t come out with their very own version of Clash of Clans that can be run on Windows and have primarily focused their attention on mobile games. However, below I will provide insights and step by step instructions for a solid workaround that will get you up and running Clash of Clans on your Windows-based machine in 10 minutes. The best part is that this secret is completely free to use. I’m thoroughly convinced that playing Clash of Clans on my computer is the best thing since sliced bread. There are a few reasons that really make me love it and I’ll share those with you. Let us know in the comments below how you feel about the game and playing it on various devices. What do you prefer? Your computer’s graphics card is much better than any iPhone or Android if it’s a relatively new PC. This will make the game run so much more smoothly without any glitches or jumps. Supercell has really hit something with their graphic design; the units and enemies in this game are very distinctive, and sometimes quite amusing. This helps you to really appreciate all the great art and animation design that’s gone into this popular game. If you run your own clan, you know how much time it really takes. You have to be constantly following it and making sure everything is going well and you’re not being attacked. That means you’ll want to check on your game when you’re at home or at work. I’m typically on a computer most days during the week, which makes it easy for me to check my game all the time. If you work in an office (even a home office) you may be in a similar position: it’ll look suspicious if you focus on your phone for a few minutes out of the day. But if your monitor is positioned right, you can always switch over to CoC for a couple of minutes between tasks, to give your brain a break and help you transition to something else you need to do. A bigger screen will give you the ability to see your enemies and your clan that much better. You can get a better idea of an ideal layout and see a more holistic view of the game. How many times have you zoomed in on something in order to see what’s going on, only to find out that you’re getting attacked in another area outside of your field of vision? This way, being able to see the whole field at once (or at least, more of it), it’s almost like playing in God mode. Although the app is meant to be played on a touch screen device, there are a few things that I enjoy more using a mouse and a keyboard and it makes battle easier for me. With touch screens, the act of interacting with the device simultaneously obscures your vision. Every time you tap, your hand is in the way of what else is going on. That’s not a problem with mouse and keyboard. If you’re a serious Clash of Clans player then you will know that playing on a desk in front of a computer is the way to go. It sets up an environment where I can put my full attention to the game and not get text messages or phone calls during the game. All of these are the reasons why I love to play Clash of Clans for PC, but you may have other insights. You may not have a smartphone and only a computer so that is your only choice, or something else. Let us know what works for you in the comments. You may be new to Clash of Clans but there is something key to know before you start playing it or if you’re unfamiliar with how it’s run. The app was built by Supercell, a huge gaming company that has likely one of the most successful mobile games of all time in Clash of Clans. Whenever there’s a popular game out, especially one with a multiplayer element, it’s like an entire industry grows around trying to get players to pay to bypass playing the game. When World of Warcraft first started to explode, lots of training farms opened up, advertising that they would get you XP and gold in exchange for some real world cash. Sometimes it worked, sometimes the player was just bilked for some of their hard-earned cash, but sometimes (depending on the farm and their tactics), the characters would be deleted or the player banned from the servers. The industry that’s grown up around CoC has a different tactic: advertising helping you get more gems or resources than you should. The app is run on the Supercell servers and all data and information about users and the game goes in and out of those servers. This gives the ability to play the app with anyone around the world, this allows for the app to deliver better performance and better features in play mode. However, this also makes it nearly impossible to trick the server into giving you more gems or anything. There are thousands of sites out there that claim to have a hack for Clash of Clans and I can with absolute certainty tell you that is completely false. There is no way to “trick” the servers into giving you more gems. More often than not, the sites contain viruses in them and will infect your computer or phone. Also, many of them have surveys where they sell your information to other sites without actually giving you anything. Another word of warning is related to downloading the Clash of Clans apk file as I will suggest doing below. You should only download the app file from the official Google Play Store. Don’t trust any website that claims to have a version of the app that does not come from the official store. Often times the game has a virus attached to it, where you are basically giving free access to your computer, iPhone, or Android if you download and install it. Let’s finally get into the real reason you’re visiting this page and give you a step by step guide walking you through the download, installation, and playing Clash of Clans for PC. The best part of all is that the option that I will suggest below is completely free and doesn’t require you to sign up for the emulator or give your credit card information. You will find that there are some preinstalled apps on the emulator and that is how they make money by selling preinstalled apps. However, you can delete those apps if you don’t want them or don’t like them. DISCLAIMER: Before you start with this trick you will want to make sure you go to the Google Play Store and sign up for an account. Again, this is completely free but you will need to pick out a username and a password. The reason you need to sign up is because you will have to download the Clash of Clans apk file to upload into the emulator. If you already have an Android device then you don’t need to do anything because you likely already have an account. If you don’t own an Android then you will need to find a friend or family member that has one and login to your Google Play account on their device. This will make it so that your account is verified with a device and allow you to download apps. You only need to do this once so it won’t be a hassle every time you want to play Clash of Clans. Now that you’ve signed up for Google Play you can head over to Andyroid and download your copy of the emulator. I prefer Andyroid as my favorite emulator because it has the fewest bugs and I’ve had a lot of success getting it to work with Clash of Clans. You’re welcome to try some of the other emulators if you’d like but I will walk you through the steps associated with Andyroid. Once you’re on the Andyroid website, click the download link at the top, which will begin to download the emulator to your downloads folder. When it’s finished, click the install file and go through the steps that it asks you to finish the installation. After that’s done, you will notice an option to do a 1-click sync with your Google Play account. I recommend doing this as it will sync all of your apps on your Google Play profile onto your emulator, including Clash of Clans. Make sure you allow Andyroid access to your Google Play account if it asks for permission. You may notice that Clash of Clans for Windows automatically installs onto your emulator. If it doesn’t then simply double click the little shopping bag icon at the bottom and from there search for CoC to download. Go through the download process and once you have it on Andyroid you will want to login to your Clash of Clans game so that you can resume where you left off. You may notice that your Clash of Clans game does not sync correctly from your iPhone or Android to your PC. If that is the case then you will want to follow the steps below to transfer your game from one device to another. This may be a pain if you want to constantly go back and forth between your Android and PC but it makes life a lot simpler so that you don’t have to start over every time. First, you will want to attach your previous account to your Google Plus account. You will do this by going to Google+ on your Android device and login with your username and password. After you have logged in, launch the Clash of Clans game and go to settings. There you will see an option to sign in with Google. Just sign in with Google and that will sync the game to your Google+ account. Then, on your new device just do the opposite, sign into your Google+ account and use the same username and password. Then launch the Clash of Clans game and when you’re in the game tap the settings icon and again click to sign in with your Google+ account. That will automatically sync your game with your previous device. I have tried this out on Clash of Clans for Windows and it has worked perfectly. That wraps up this guide and I hope it has been helpful to get CoC on your PC and give you more options to play on a bigger, better device. If you enjoyed this tutorial, please share it on Facebook and Twitter so that your friends can use it as well. As always, we’re open to hearing your tips below in the comments section!